Starting and launching and learning. Quite a nice poem. Found it while rereading The 4 Hour Work Week. Tim claims a friend quit his job after being sent this. Ever followed a butterfly’s erratic flight? Or gazed at the sun into the fading night? You better slow down.Don’t dance so fast. Time is short.The music won’t last. When you ask: How are you? Do you hear the reply? To call and say, “Hi”? You miss half the fun of getting there. It is like an unopened gift thrown away. Life is not a race. Before the song is over. 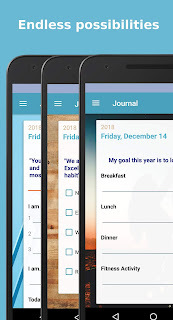 Be even more effective with flexible structured journaling.